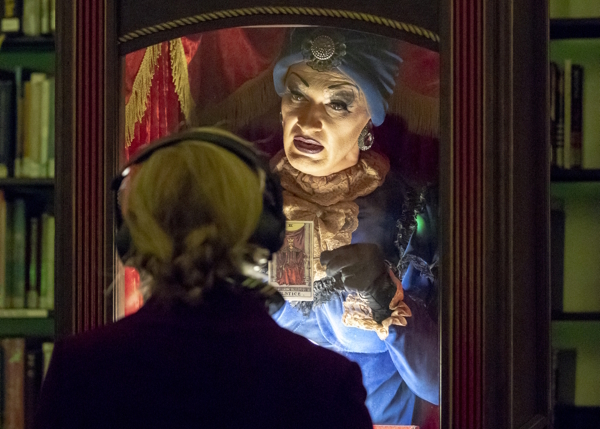 Let all your tomorrows come at once with a visit to the mysteriously mechanical Madame Tulalah’s fortune-telling booth. Part drag queen, part automaton – Madame Tulalah offers a convenient yet insightful one-to-one consultation at the touch of a button. Why wait? Your future is in her hands. Pop on your headphones, and take a few minutes to marvel at the Madame as she speaks from the confines of her box. With a trick or two up her sleeve, she’ll guide you through a visual and auditory journey into the realm of prediction, divination, forecasts and the occasional technical difficulty. Please note, your future is for entertainment purposes only.